Even though it is summer time, you might find yourself in a situation where you need to heat your military surplus tent during a camping trip, without a fuel heater or some other safe means. The good news is that you can still heat your tent the good old fashioned way, with fire. Some tents are even equipped with stoves and vent holes for chimney pipes; however, that is not what the scope of this writing is about. In this blog we are going to dealing with three ways that you can dafely heat your tent with a natural fire, hopefully without killing yourself with carbon monoxide poisoning. So, with no further adieu, here are three methods you can use to heat your military surplus tent with a campfire. 1. Use a deflectorA deflector is just a barrier that will bounce the heat back over the fire and onto your tent. .Usually made from a wall of logs or scrub, the deflector is there to bounce the heat in a specific direction and not let it escape into the night. This is the least efficient way to heat your tent. 2. Use heated rocks. 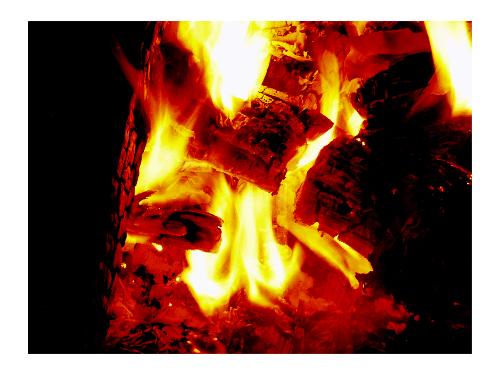 If you heat rocks up in the fire, you can move them into your blankets to keep you warm all night long. This technique was used by the pioneers with bricks and is still a viable method of warming your bedroll . 3. Build a coal bank and bury it. If you've ever watched Jeremiah Johnson, then you understand this concept, simply dig a hole and spread your coals in it. Cover it up with the dirt you dug out and sleep on top of the coals.